We provide professional complete care for our patients. Learn more about all the services we provide. Call us at (972)-542-3937 today. Welcome to McKinney Family Eyecare, PC in McKinney, Texas. Drs. 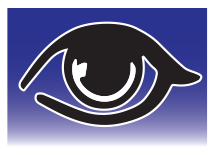 Matt and Cindy Hudson and the McKinney Family Eyecare staff strive to provide high quality Optometric professional services. We invite you to browse our website to learn more about our practice and to join our patient family by scheduling your eye exam at our convenient McKinney office. McKinney Family Eyecare is a comprehensive eye and vision care provider, providing you, your family and your friends with thorough vision examination services and optical products and services. Patients come from around the area to McKinney Family Eyecare because of the personal attention and professional care that is our foundation. Drs.Hudson and their staff are dedicated to providing patients great customer service in a professional, friendly atmosphere. At McKinney Family Eyecare, we build good patient relationships based on trust and honesty. Our one-on-one approach makes Drs. Hudson and McKinney Family Eyecare the eye and vision care providers of choice in the McKinney area. Our Optometrists offer the following services: complete eye exams, contact lenses, glasses, glaucoma testing, and pre- and post-operative LASIK care. For more information, visit or call our at 972-542-EYES. At McKinney Family Eyecare, we are dedicated to providing high-quality eye and vision services in a friendly, comfortable environment.Call us at 972-542-3937 or schedule an appointment today online.